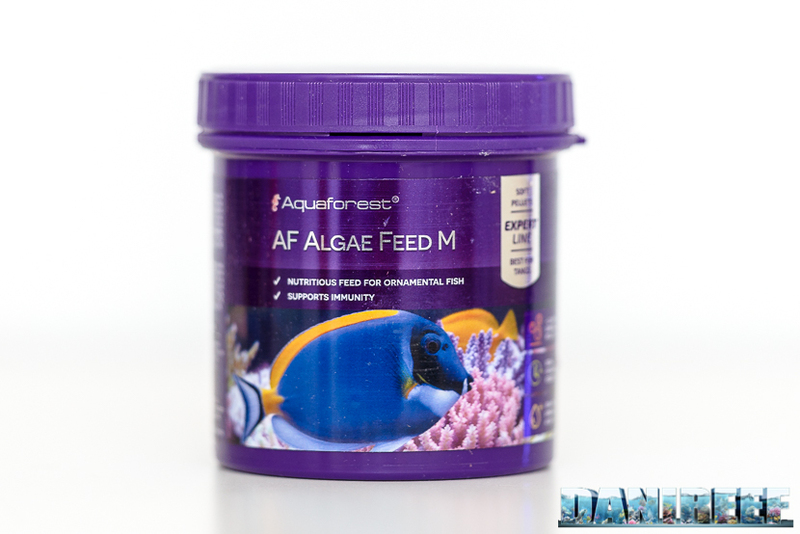 AF Algae Feed M is the pellet food offered by Aquaforest for herbivorous fish. 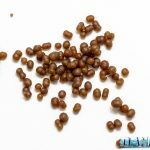 Pellet food is produced at low temperatures, and that is the reason why it is one of the best kinds of food. It is less polluting compared to frozen food as it doesn’t have any maintaining liquid and it doesn’t have any cold-chain interruption problem. Additionally, pellet food keeps all its nutritive properties that are lost in high-temperature treatments. (more details here). Of course the difference between one feed and another, even if they are both pellets, strongly depends on the starting paste. Aquaforest AF Algae Feed M is considered a high-end premium feed. 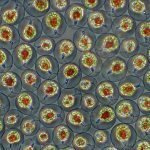 AF Algae Feed M is especially rich in omega fats, excellent for every living creature’s health, even if we cannot say that it lowers cholesterol! This feed is made out of seven different kinds of seaweeds, as well as fish flour, minerals, oils, and fats. 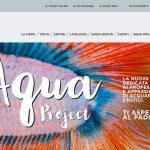 We notice that, although Aquaforest publicized that 7 different algae have been used to produce this feed, it is not reported what kind of algae they are. The product is available in two sizes: Small and Medium. Medium is suitable for medium-large animals. 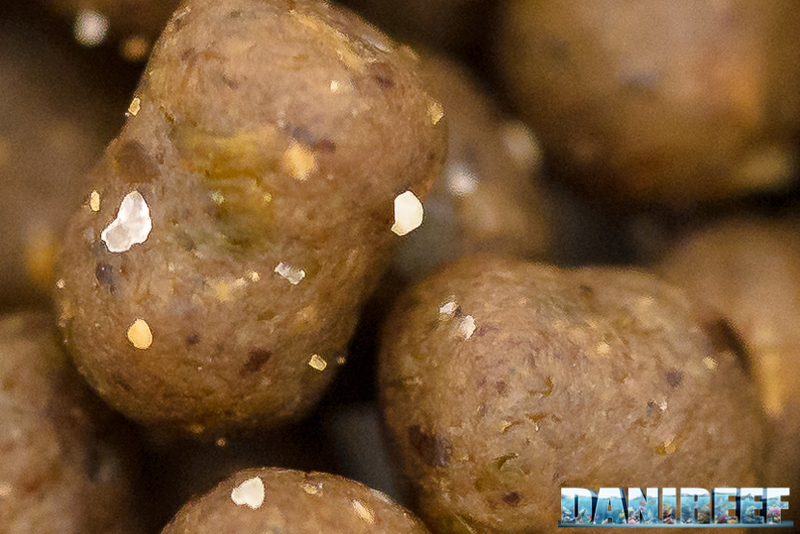 The pellets are about 2.5 mm large and they sink very quickly, even if used in a food-ring with the pumps turned off. Palatability value is good. 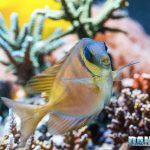 Unfortunately the size, for the M version, and the sinking speed, don’t make it a food suitable for all fishes, and we must take this into account. As we saw for AF Marine Mix (article), these pellets remains moist once opened. Strangely a spoon is not provided for dosing it. This is the first time I have seen this, with the exception of his brother AF Marine Mix. Moreover the feed is not contained in a vacuum-sealed bag, but it is stored in a plastic jar. The only protection from the outside world is the plastic seal, which must be broken to open the container. 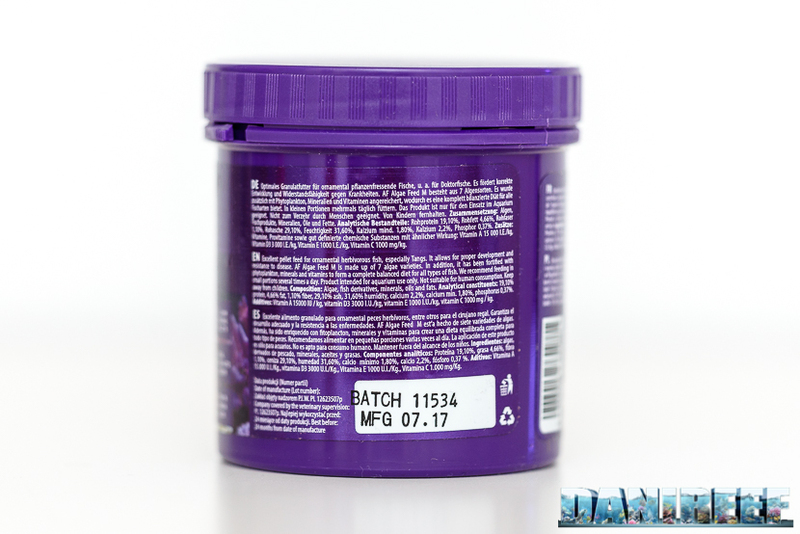 On the package you can’t find an expiration date, but the packaging date; the expiry date is fixed 24 months after the packaging date. I think it is an optimal way to point out this thing. But at first glance, we might think that it is expired while it’s actually just fine. We can see the same analysis in the following pie-chart. As we can see in the chart, the food is mainly composed of proteins, even if the percentage is very low, about 19%, and it is also low compared to the other feeds we have analyzed. Most other feeds are over 30%. AF Algae Feed M is considered lowfat, with only 4.66% fats, the lowest content we have seen so far. Because of this, it is considered a good base food that should not fatigue fishes’ livers. Unfortunately the amount of ashes, moisture, and others is about 70%, higher than the average of other algae feeds, which is about 65%. 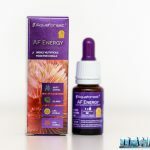 For these reasons, Aquaforest AF Algae Feed M is very good as a supplement for algae-eater fish, but not suitable to be used as a single food, because its low protein content. 19% of proteins is lower than the average value of 33% of all the other feed we analyzed so far, and the percentage of fats, 4.66%, versus an average value of 6%. The moisture is high, as we said, about 32%, but the entry “other” is 12% versus 28% of the average. Of course we are talking about only the feed we analyzed so far which have an algal predominance, it would be a nonsense to compare it with a general pellet food that usually has a protein content that is excessively high compared to this. But they are different feeds suitable for different fishes. A high content of Vitamin A promotes healthy growth, strengthens vision, protects the skin, and has a positive action on fertility. But it is lower compared to similar feed (~20,000). The Vitamin E content is slightly higher compared to the average, while vitamin C and D3 are slightly below. It’s interesting to note that the vitamins are the same declared for the pellet food AF Algae Feed M. Above we can see the pellets’ constitution in a macro picture. The pellets look like small potatoes. The color is dark brown. 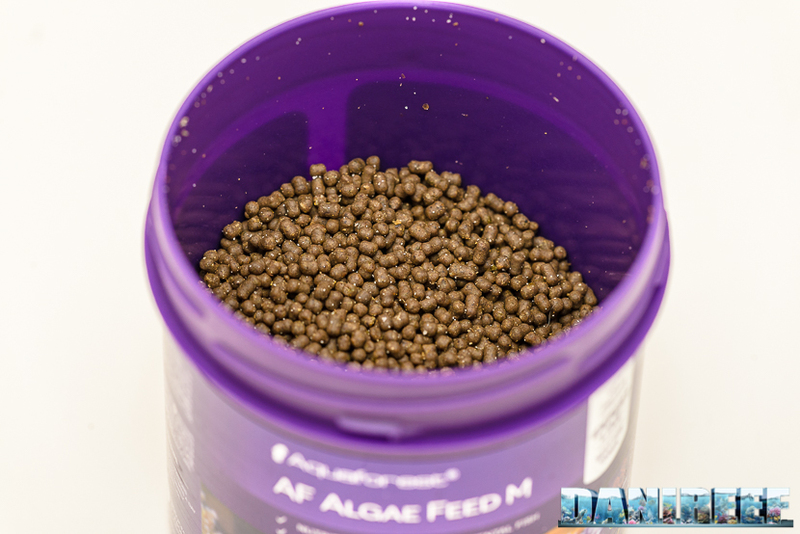 AF Algae Feed M is only available in a 120 gram package.